Gary has a B.A. in Jazz Performance from the University of Southern California, and has been teaching on and off for about 15 years. After spending a few years as the lead trumpet player for The Big House Band out of Philly, Gary has decided to get back into teaching. He is a great asset to our teaching roster and has a jovial and bright demeanor. 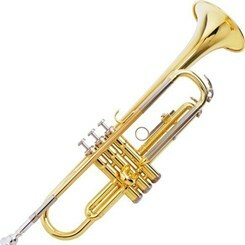 While his main focus is trumpet, he is also able to teach beginner French Horn. Request Lessons with Gary Oberparleiter today!